Whether you are looking for a budget-friendly meal or a reason to try new food, you can find both with Howard County Restaurant Weeks. From July 24 to August 7, 2017, dozens of local and independently owned restaurants participate. For lunch or dinner, you can choose a prix fixe menu. With the three course meal, the price is reasonable for trying a new restaurant. Since my family wanted to try a place we had never visited before, we dined at Stella Notte. At Stella Notte, the Restaurant Weeks menu is different from the typical Italian fare. Instead of heavy pastas and pizza during bathing suit season, you can find light, protein-based dishes. Not only do the chefs create the menu specifically for these weeks, but the meal often highlights locally sourced food. With the Stella Notte Restaurant Weeks menu, all the vegetables and beef are from the area. Dining out for Restaurant Weeks can be enjoyable for the family. We ate at Stella Notte because we love Italian food, but also enjoy dining out with our children. Since we ate early in the evening, the restaurant had plenty of space to accommodate our energetic children. I liked that the tables were far away from each other because even when more families came in, our children didn’t seem to disturb anyone. With the indoor trees and lighting, the restaurant had a nice ambiance but wasn’t too upscale to bring children along for dinner. 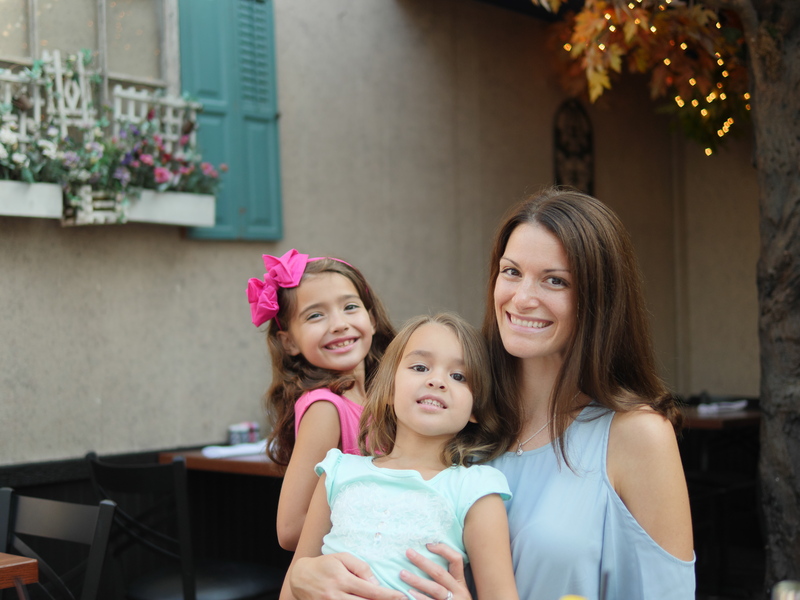 Bringing children to a restaurant can be a stressful experience, but Stella Notte does everything they can to make sure the family has a good time. One nice touch was the doodlePROs that each child can use. I was happy to see my daughter write her first word during our visit! If you are visiting Stella Notte for Restaurant Weeks, you can choose from several different options for the three courses. For an appetizer, I chose the avocado and feta dip. Mixed with pepperoncinis, lemon, and red onions, the dip was light and refreshing for the summer. You can use the carrots, kalamata olives, tomatoes, and homemade crostinis to scoop up the dip. For the main entrée, the staff recommended the Italiano Chicken. I was not disappointed! Flavored well with Italian seasonings, the chicken is pan seared and covered in a garlic butter sauce. The chicken was tender and delicious. On the side, you get a medley of fresh local vegetables and risotto. I chose a classic Italian cannoli for dessert. With the Restaurant Weeks menu, the Chocolate Chip Cannoli is smaller than the typical cannoli that you can get at Stella Notte. This was the perfect size for someone trying to eat healthy during the summer. Both the filling and the shell were delectable. Since we were visiting a new restaurant, we wanted to try more than just their Restaurant Weeks menu. During our meal, our children tried out the regular menu. They enjoyed the chicken tenders with french fries and the macaroni and cheese. Dessert was the perfect time to check out the dessert tray and select a couple of items for the family. Everyone loved the carrot cake and the chocolate cake filled with crème. Since the portions were very generous, we had plenty to take to go. Another menu item we were excited to try was the brick oven pizza. From a mac ‘n’ cheese pizza to a seafood pizza, the menu has unique toppings you can’t find other places. On Wednesdays, you can buy one pizza and get one for free! At $14.99 for a 12″ pizza, this is a great deal for a family on the go. My choice of pizza was the Finito, which was topped with garlic and olive oil, mozzarella, gorgonzola, fresh basil, caramelized onions, and roasted red peppers. Even though my husband doesn’t usually like meatless pizzas, he found this one delicious. For the second pizza, we ordered the Abbroz, which comes with meat sauce, meatballs, Mozzarella, and Romano. This pizza was a meat-lovers delight and had generously sized meatballs. Although the buy one, get one free pizza was a great deal to go, I would absolutely return and dine at the restaurant again. My favorite thing about taking part in Howard County Restaurant Weeks was discovering a new local restaurant that my family enjoys. Not only would I eat at Stella Notte again, but I would also continue to try new spots for family dining with Howard County Restaurant Weeks. For more food tips and family advice, follow Theresa’s Reviews on Facebook, Instagram, Pinterest, Youtube, and Twitter. This place looks so good! I love the dessert tray! Love supporting local places like this!